The Tower is a listed historical monument, rebuilt by Constantine Tsikaliotis, a member of the Filiki Etaireia offering a great deal of money and supplies in the struggle for liberation. This tower house of 1808 featurs a stone fence around its sides and turrets. After its full restoration its rooms will host exhibitions and cultural events as well as the archaeological findings and historical artefacts of the area. During the festive days of Easter and summer many cultural events and exhibitions, such as ceramics, photography, as well as handmade jewelry by local artists, are are held inside the tower. The building of "Fabrika" is a pre-industrial building, closely related to the economic and social life of Leonidio during the 19th and 20th century, as it used to supply the area with electric power before the establishment of the Public Power Corporation (DEH). The factory was founded in 1924 by Apostolos Costakis and started perating in 1925, when very few cities in Greece were using electricity. Fabrika also served as a flour mill and olive mill running with electricity. 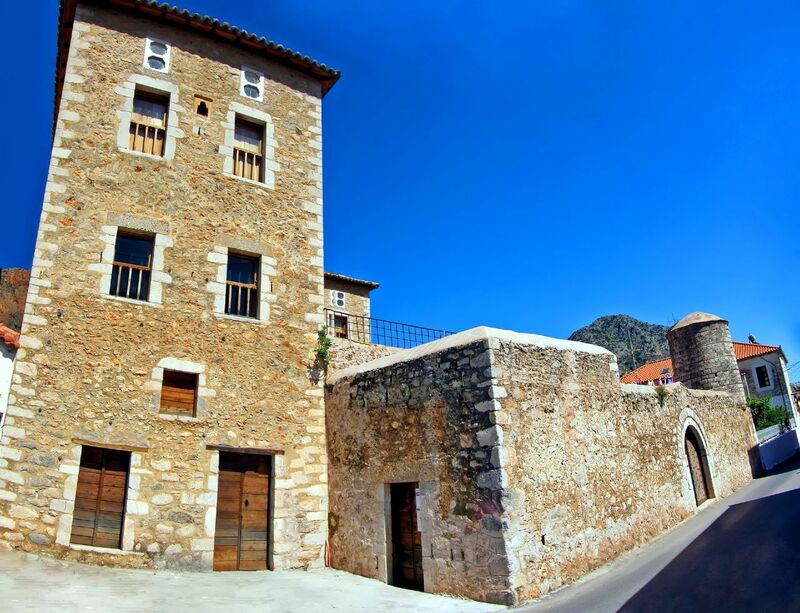 Nowadays, all restoration work are completed, so the nuilding serves as a Historical Center of the rural and sea route in eastern Peloponnese. In Leonidion, there is a noteworthy steam roller, which fortunately has not yet been ravaged by time or striped bare by souvenir hunters. It was this steam roller which was used in the construction of one of first asphalt paved roads - the historical road from Leonidion to Plaka. This historical machine and 9 other steam rollers were ordered by the Greek government on the 21st April 1914 from the Aveling & Porter factory in Kent in England.